Whistler, B.C. 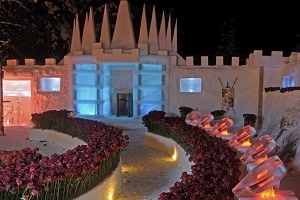 – Take the usual Valentine’s Day experiences: champagne, rose petals, delicious food, and the company of a special love to new heights in a setting of Arctic-like beauty, luxury, and enchantment. 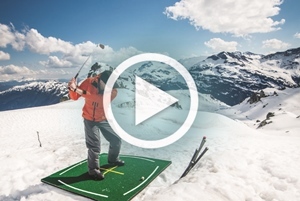 This Valentine’s Day, the Four Seasons Resort and Residences Whistler and Head-Line Mountain Holidays, Whistler’s provider of exclusive luxury backcountry experiences, have joined forces to offer the ultimate in romance. Delight your senses as you wake to spectacular mountain views in your Four Seasons luxury residence after an evening of fine dining, in-room massage and champagne by the fireplace. A discreet knock at your door delivers a heavenly continental breakfast for two on silver tray. 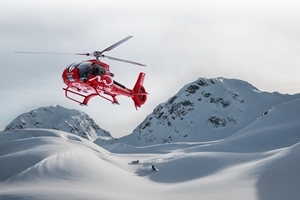 A private limousine whisks you away to Whistler’s heliport and your Valentine’s Day adventure on Whistler’s ice cap, a magical place of Arctic-like beauty, begins to heat up. Your private helicopter flies over a remote mountain ridge and below, carved inside a massive snow heart, are your initials. 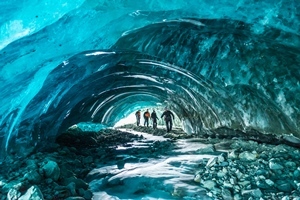 You land and follow a red carpet strewn with roses to explore a magical, translucent blue ice cave set up for a picnic lunch. The romance heats up more when you use a signal flare to call the helicopter to transport you to your private chamber in a remote Snow-Hotel complete with faux furs, champagne, music and soft lights. Still not hot enough? Then fly away to a remote natural hot springs for a mineral soak and essential oil massage with Four Seasons trained spa specialists. Your Four Seasons private chef-de-cuisine has prepared a tantalizing array of delicacies to excite your palate. Having tantalized all the senses, it’s time to return to Whistler Village for the famous après ski party scene or continued privacy in your Four Seasons luxury accommodation. 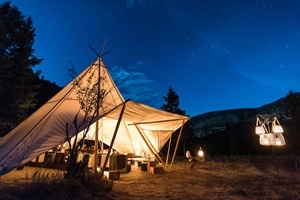 Those wishing to immerse themselves longer in this otherworldly place can stay overnight and reserve the private Snow-Hotel for a magical evening under the stars. Located only 20 minutes by helicopter from Whistler there is no more intimate a setting as you feel like the only two people on earth. Warm and cozy inside, with staff discretely at hand, this will be an ultimate night of romance tailored to your every desire. String quartet? Acoustic guitar? Indigenous story-telling? Or just the stillness of 360 degrees of wilderness around you. The choice is yours. 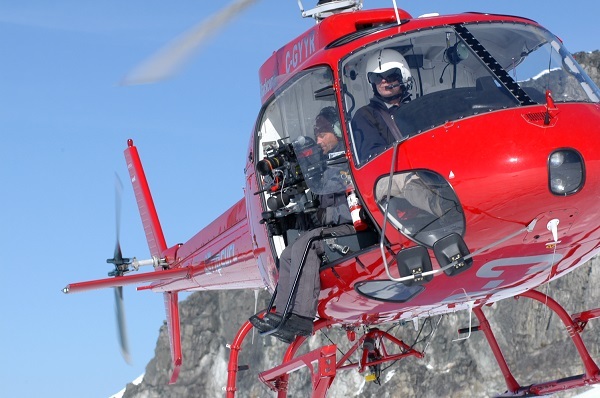 Signature experiences such as this are customized with the Head-Line Mountain Holidays team of service professionals. 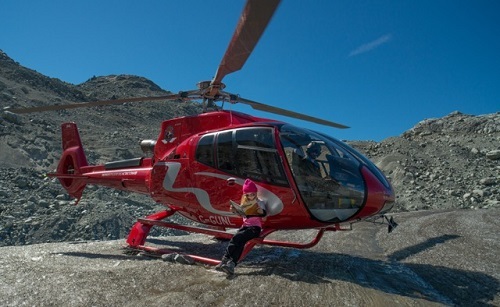 For more information and to book your ultimate Valentine’s Day adventure, please call Doug Washer at 604.902.6415. 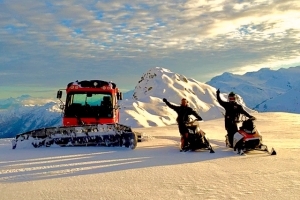 Prices start from $425/per person for a half day snowmobiling adventure that includes personal instruction for all ability levels, state-of-the-art sleds with hand and goggle warmers, and backcountry safety equipment.